Inspiration for your next adventure! 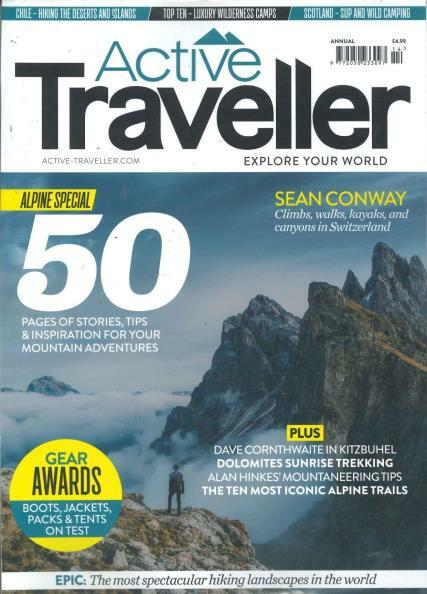 Buy a single copy or subscription to Active Traveller magazine. Whether you are travelling solo, as a group or with the family, each issue will immerse the reader into every imaginable area of the world with every perceivable way to travel. Active Traveller Magazine is published by Double A Media Ltd, along with sister title Snow Magazine. The magazine is published quarterly and sold in retailers across the country. Buy a subscription from Unique Magazines now!